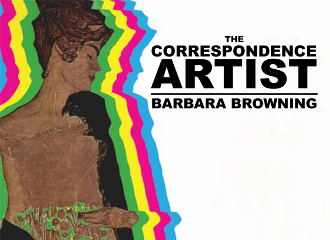 The Correspondence Artist, Barbara Browning’s 21st century epistolary novel is jam-packed with cultural references and lubricated body parts and has been praised by Harry Matthews, DJ Spooky and Rebecca Miller. In a fiction that merges with cultural theory, Vivian and her lover Tzipi Honigman, a 68-year-old Nobel Prize-winning Israeli novelist, make out to a mix tape that includes such hits as Lacan’s seminar on Poe, Sartre and Simone Beauvoir’s threeway, Tippi Hedron the Swedish Jew and mistranslated sexual idioms. Is it a federal offense to steal a letter or is it in fact totally impossible? When you steal a letter, do you become the letter’s true intended audience? Either way this is mail worth rifling through. The book is due out in February from Two Dollar Radio.